NORWALK, CT – November 7, 2012 – During the January 1, 2007 through June 30, 2012 period, a total of 432 transactions were recorded in which a buyer targeted a not-for-profit organization either as a merger partner or an outright acquisition target, according to Irving Levin Associates’ new report The Not-For-Profit Acquisition Report, Third Edition, 2012. The majority of deals occurred within the hospital sector, followed in order of descending deal volume by long-term care, behavioral health care, home health care, biotechnology, and other services. Also within the timeframe, a combined total of 29 deals were announced in the four sectors of the health-care technology segment. The top 10 largest transactions during the reported period, in terms of dollars spent, according to The Not-For-Profit Acquisition Report, Third Edition, 2012, are listed in the table below. During the five and one-half year period covered in this report, hospital systems and pharmaceutical products were the targets in the majority of the largest deals that involved the sale of a not-for-profit health care organization or asset. Eight of the Top 10 deals listed above represent the acquisition of not-for-profit hospital organizations by other hospital organizations. Given the number of hospitals in the United States that are not-for-profits, the prevalence of not-for-profit hospitals in this list should come as no surprise. Two of the transactions among the Top 10 deals involved the acquisition of royalty interests in pharmaceutical products. In one case, the royalty interest in Lyrica, a drug used to relieve neuropathic pain, was sold to Royalty Pharma AG. In the other instance, the royalty interest in Remicade, a biologic drug used to reduce symptoms of rheumatoid arthritis, was also sold to Royalty Pharma AG. The not-for-profit seller for royalty interest in Lyrica was Northwestern University, and the seller for royalty interest in Remicade was New York University. The Not-For-Profit Acquisition Report, Third Edition, 2012 is published by Irving Levin Associates, Inc. The new 2012 edition includes hard-to-find details on Not-For-Profit M&A transactions such as price/revenue ratios, key facts on buyers, sellers, executive contacts and more. The report was recently published and can be purchased at http://www.levinassociates.com/not-for-profit-description. 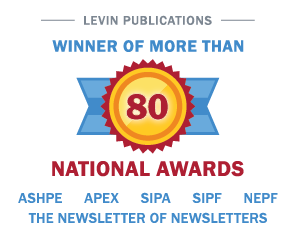 For more information on The Not-For-Profit Acquisition Report, Third Edition, 2012 or for a subscription to any Irving Levin publication, call 800-248-1668 or go to www.levinassociates.com. Irving Levin Associates, Inc. was established in 1948 and is based in Norwalk, CT. This privately held corporation publishes research reports and newsletters, and maintains health care and seniors housing M&A databases.